Seers had long foreseen an extraordinary destiny for Ellysetta Baristani. Already she had won the heart of the Fey King-the magnificent Rain, ever her ally, eternally her love. She had saved the offspring of the magical tairen and fought beside her legendary mate against the armies of Eld. But the most powerful-and dangerous-Verse of her Song had yet to be sung. As the final battle draws nigh and evil tightens its grip upon her soul-will Ellysetta secure the world for Light or plunge it into Darkness for all eternity? As she and Rain fight for each other, side by side, will they find a way to complete their truemate bond and defeat the evil High Mage of Eld before it’s too late, or must they make the ultimate sacrifice to save their world? 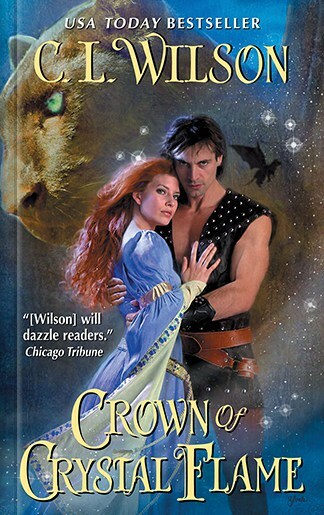 Crown of Crystal Flame has been awarded the reviewer nominated and reader-selected Romance Reviews Best Fantasy Romance of 2010. 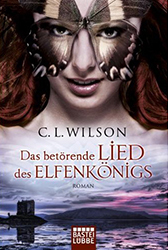 Retitled Das BetÃ¶rende Lied des ElfenkÃ¶nigs (the Beguiling Song of the Elf King), released by Bastei LÃ¼bbe (Bastei Verlag) on January 20, 2011.